Your company’s online reputation is an amalgamation of multiple elements. This ever-evolving digital mash-up consists of comments, reviews, blog recommendations, and more. 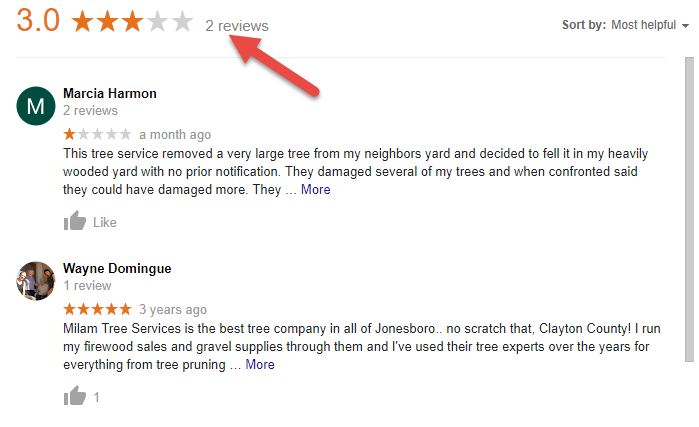 The number 1 key – and first place you should put effort – is how your Google Reviews profile looks. The first step, if you have not already done so, is to CLAIM your company’s Google My Business page. This is portal is where any reviews for your company get written and reside. 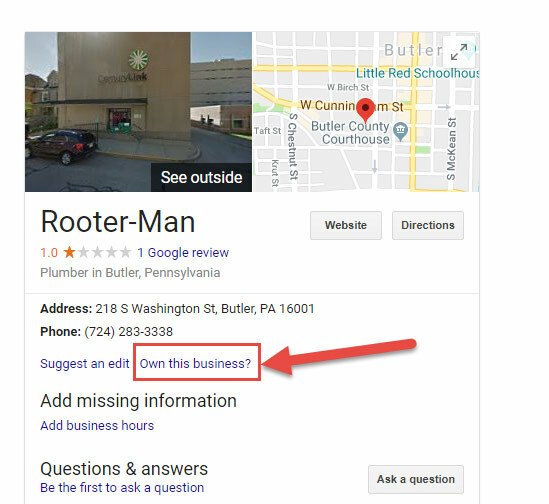 Before you can add or modify business information within Google Maps, Search, and other Google properties, you’ll need to VERIFY OWNERSHIP of the company using a Google My Business listing (or get access to one, if it already exists). Basically, this prevents any unscrupulous characters (competitors) from engaging in shenanigans. Having just two reviews is dangerous. If you have a glowing, 5-star review from a long-time, perfectly happy customer and a second “review” from a former, disgruntled employee, that translates into bad-looking optics. Increase your review count to 10, and that single bad apple becomes a tiny, suppressed fraction of the opinions that are visible. While you are not allowed to compensate people (customers) for writing a review on Google (or for that matter on YELP, Angie’s List, Facebook, etc.) you can ask past customers if they would give an honest opinion. For this, a short, simple email using a straightforward subject line and coming from a REAL PERSON at your company seems to yield the best results. PRO TIP: Give customers a direct link to leave their comments. Below are instructions that are admittedly complicated. Confused? Just call us 216-321-8894 and we’ll be happy to email you the link for your business. You have a cell number as the contact point to reach your customers in many cases. This is especially true with clients – like construction people – who may be on the move. After finishing a job, a confirmation of service including a request for feedback can do the trick. Just send out a simple, cut/paste text message IMMEDIATELY FOLLOWING SERVICE to solicit feedback on Google. Do not call it a survey – and again, just be polite, friendly and genuine. Glowing reviews are nice and also helpful for your search presence. However, even finding out that your sweeper truck missed the back half of a customer’s parking lot late on a Saturday night helps you and your staff improve. PRO TIP: There is a simple mechanism within Google My Business to respond publicly to comments that are left. Whether you respond with a simple: “Thanks for your feedback” or publicly say “Sorry, we’ll be right out to correct that”, by embracing comments that point a finger, you look responsible, human, and responsive. As we’ve said, this is not hard work. But it is different. And as you know, asking employees to do something new, or in a different way, can be met with some resistance. Explain to your staff that it is important to help grow the business. Offer incentive to your office staff – a pizza party when the Google Review count hits 25. Give out $5.00 Dunkin Donuts cards to anyone mentioned in an online (positive) comment. 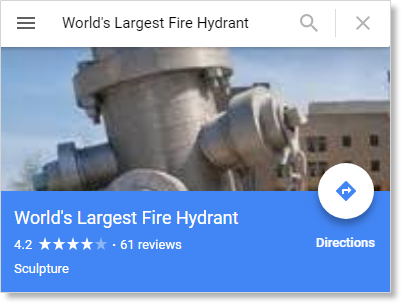 Face it, if The Biggest Fire Hydrant in the World has more reviews and a higher “star rating” than your business, it’s time to get down to work!